Posted on 10/30/2013, 6:00 am, by MrXStitch, under Guest Bloggers, Mr X Stitch. Adriana Paice is a mixed-media artist from London. 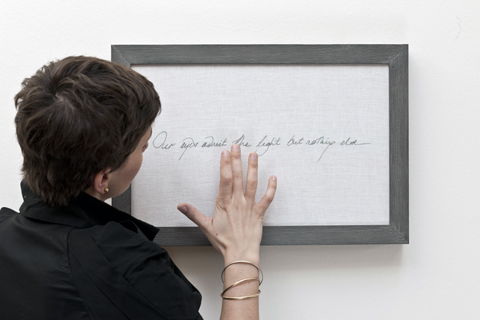 Her recent installation – Fragments – used conductive thread, sensors and sound files to create an interactive experience incorporating the poetry of Ri Pierce-Grove. 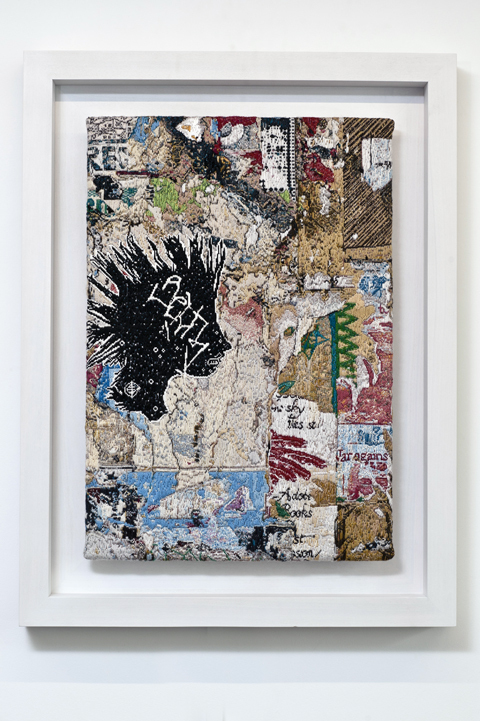 “Three digital images of the city lovingly recomposed in stitch as tapestries anchor the exhibition. They explore the texture, both physical and psychological, of urban spaces. 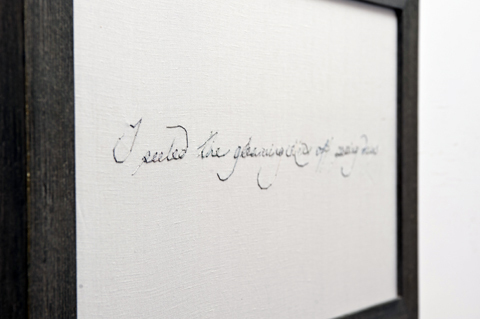 Each piece responds to the viewer, whose presence unlocks a fragment of poetry a strip of intimate experience peeled from another life and laid down in words. This is clever stuff. 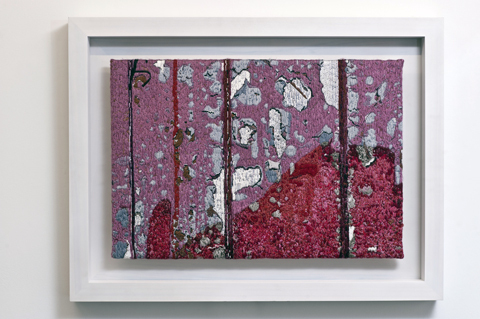 Adriana creates abstract pieces features close up shots of urban decay – walls and surfaces with flaked paint – which expose the beauty contained within a world we think is falling apart. 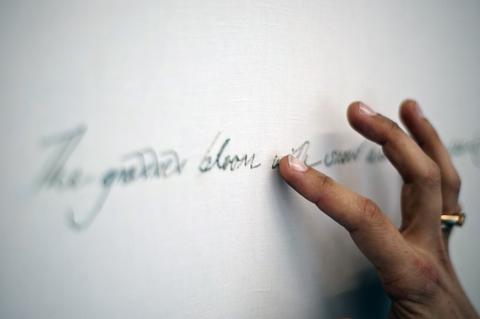 Then comes the introduction of the interactive element, inviting people to physically connect with the work to unlock additional meaning and narrative. A smart idea, executed with elegant simplicity. For a true sense of the installation, make yourself comfortable and watch this video. 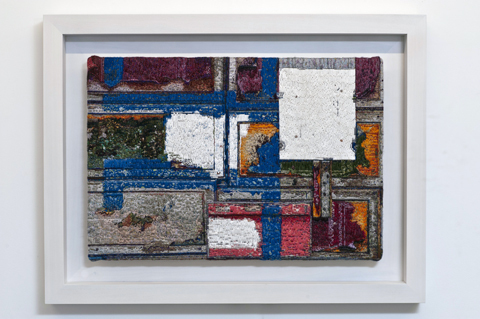 Adriana’s work combines new technology with traditional textile art and unlocks a new world of interactive possibility. I cannot wait to see what comes next.